Elizabeth Apr 01 2019 2:05 am She also wrote Live Up To Your Name which is AMAZING!!! Molly Dash Mar 05 2019 1:50 am Great Writer ! Nuu May 23 2018 9:38 pm I love your writing, i love your drama kim eun hee ssi. I hope for your next project, you can make drama spy action thriller for kim go eun and jo insung. They both are great actors btw. Please writernim, casting them in your next project please !!!!! phoebe Oct 01 2017 8:46 am Kim Eun-hee ssi, Thank You for creating a masterpiece!!! ??? I really love Live up to your name drama!! ?? keep up the good work. Thank You for your hardwork!!! ?? looking forward to your next masterpiece ? Hasbalah Jun 24 2017 6:41 am Kim eun hee ahjumma, casting kim goeun for your upcoming drama please. She's a great and versatile actress. You can watch her film like coin locker girl if you want to know about her. 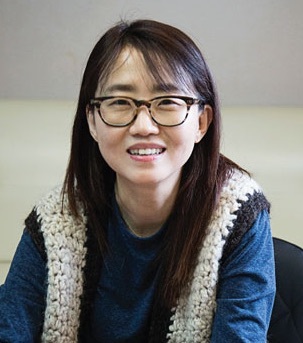 Rasyi Feb 28 2017 7:46 am Kim eun hee writernim, i hope you gonna casting kim goeun for your upcoming drama zombie's saeguk. Surely, kim goeun is suitable for the role. She was talented actress and her acting couldnt undeniable. Nui Feb 13 2017 6:55 am I have watch Ghost & 3 Days far before, and I was surprised when I know that you write Signal too. Three of them are my favourite kdrama. When I see u in MuDo, I found that you're down to earth too^^ I think you're the best Korean drama writer. Fighting!! gumiho Feb 09 2017 8:25 am i enjoyed Signal drama, imo this is the best action thriller of 2016 or perhaps , the best of all time. Akashi Jan 16 2017 5:13 pm Thank you so much - you are the best Korean drama writer ever. I am from Canada and because of you I aspire to be a writer too - I believe it is the most underappreciated profession in all of the TV./Movie business. Thank you so much for all your hard work, I absolutely loved "Signal" and give it a 12/10. "Phantom" I give it an 9/10. Bookworm95 Dec 29 2016 2:54 am Honestly, i don't really know the writer-nim. Everytime i watch drama...when i feel the story line is good i will watch. When i watch Phantom, i love this drama sooooo much. Now when i watch Signal i have to say this is best story line drama ever...then i realize it came from the same writer-nim. Daebak! i love your works. Signal S2 please? Agnes Oct 10 2016 11:19 am I'm waiting for your new project. sprei kualitas Aug 17 2016 2:40 am Because of 3 days and phantom, I will watch signal. Xien Jul 24 2016 9:39 am I researched about her because I thought it was an amazing coincidence that she was the writer for both Ghost/Phantom and Signal(2 of my all time 5 favourite dramas). But woah, she was also the writer for Sign, another one of my all time 5 favourites! This can't be coincidence! Will look forward to her future works! Jaison May 06 2016 2:49 am Thank you so much for your absolute unparalleled superb writing in signal and "Misaeng" - I will definitely be watching your future projects. You deserve an 11/10 for your writing a complete perfect five stars. Thank you for capturing real emotions with real dialogue a viewer (correction) anyone can relate to. Such powerful writing I have a new respect for Korean Screenwriters, much more than any actor I have watched in K-Dramas. Please keep up this level of writing with more dark thrillers, you deserve all the award in your writing. Izaya May 06 2016 2:47 am Thank you so much for your absolute unparalleled superb writing in signal and "Misaeng" - I will definitely be watching your future projects. You deserve an 11/10 for your writing a complete perfect five stars. Thank you for capturing real emotions with real dialogue a viewer (correction) anyone can relate to. Such powerful writing I have a new respect for Korean Screenwriters, much more than any actor I have watched in K-Dramas. Please keep up this level of writing with more dark thrillers, you deserve all the award in your writing. Monica Yam Apr 30 2016 7:31 pm I finished watching Signal, and would like to thank you for creating this piece of work with such high standards and quality. It is by far the best I have seen. The inter-linkages of every detail of the story are so well thought through, the whole piece is flawless. Thank you, and cannot wait for more excellent work from you. gasenadi Apr 24 2016 7:19 pm Didn't Kim Eun-Hee also work on Love Again? meme Apr 23 2016 12:46 am i just watched signal and its very well done script. i dont know that u wrote 3 days and phantom (my favorite too). you are one of the best screen writer. annmasae Mar 25 2016 1:14 am Enjoyed all your dramas Signal, Ghost, Sign. Please have a season 2 for Signal since the ending left so many questions. Keep up the good work and looking forward to your next drama. Apriliani Mar 11 2016 9:47 pm i've watched phantom and 3 days.. and now signal. wah. seriously you're awesome. thank you and i'm looking forward to your next work. fighting! monstar ❤ Mar 06 2016 3:41 am I wish i could personally tell writer Kim eun hee this: YOU ARE FREAKIN AWESOME AND I WANT TO GIVE YOU A HIGH FIVE FOR SIGNAL. Thank you writer nim. Davia Feb 22 2016 12:13 am I have been watching your drama Signal. I have been enjoying watching the general concept and the mystery therein that you have been writing. I don't understand though why you would choose the victim in episode 8 to challenge her abuser when it was obvious how pertrified she was. It would seem to me that a woman who has been so severly abused would be too afraid to do the things that you wrote. Would she really steal something from her abuser? Would she threaten him and then think it was safe to sleep at home knowing how violent he is? Then also in episode 10 you have a police chief go and knock on the very person's door who almost murdered her. Who would be stupid enough to do that let alone a law enforcement personnel? She was obviously in PTSD at the time and extremely fearful. Women are naturally more cautious being that they are women. I would be interested in hearing your take as to why you decided to write these characters in this way. julz Feb 17 2016 8:37 pm wow.. u comeback with Signal.. finally.. i really love Sign, Phantom and 3Days.. i love all of ur drama chakanim.. u r the best.. fighting!! sheli Feb 14 2015 5:32 am micky yoochun again please in a new drama ''cold case''. rian Jan 20 2015 8:40 am can you please choose again micky yoochun for the new drama COLD CASE. because he is good in acting.thank you. minami Jun 17 2014 11:38 pm I want 2nd season of three days please.. writer nim..
MethaLana Mar 09 2014 8:17 am Now with THREE DAYS, She really a brilliant writer. Can somebody guess what does she eat everyday? her scripts always be so FREAKING AWESOME AND FULL WITH TRAP! youngie Feb 15 2013 9:38 am Sign is a good, no, it's a great drama. And Ghost, that's even greater. I love your works, please keep it up. gina Feb 07 2013 1:14 pm Phantom II will be great! Syafira Feb 01 2013 1:46 am I wish you'll be back with another great drama, Kim Eun Hee Ssi. I already watch Sign & Phantom, and the 2 dramas are great, epic. Your husband is good too.